Estella Ruth Zook went to be with the Lord at 90 years of age on April 17, 2018. She was born in Sullivan County, Indiana to Floyd and Mary French on September 13, 1927. She was 1 of 6 children, and was preceded in death by 2 sisters and 3 brothers. She graduated from Hymera High School in 1945. Those were difficult years for her family and many other rural Americans due to the depression and WW2. While attending a jewelers trade school in Illinois she met Robert K. Zook. They were married on September 15, 1946 in Lincoln, Nebraska. They made their home in Aurora, Colorado. Robert passed away in 2001. Estella moved from Aurora, Colorado, her home of 50 years, to Milwaukie, Oregon to be close to family in 1997. She is survived by her son, Gary B. Zook and his wife, Billie of Portland, Oregon; her daughter, Sandra S. (Zook) Riggins and her husband, Gary of Watonga, Oklahoma; 7 grandchildren; 10 great-grandchildren; and many nieces and nephews. 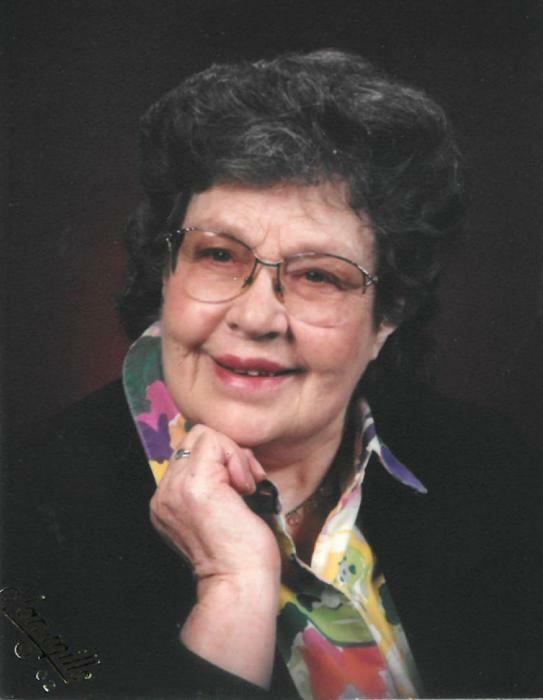 She was a member of Toastmasters, served as a precinct captain for the Republican Party for many years in Colorado and Oregon, and was a member of Gladstone Baptist Church. She was a resident of Providence ElderPlace Glendoveer at the time of her death. A memorial service will be 2:30 p.m., Tuesday, May 15, 2018 at Providence ElderPlace Glendoveer, 13007 NE Glisan, Portland, Oregon.